Dale Cozort lives in a college town near Chicago with his wife, daughter, three cats and a lot of books. 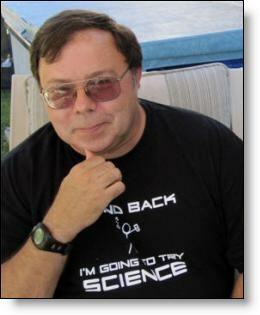 Dale is a computer programmer and teacher as well as a long-time science fiction fan. He has a huge and diverse range of interests, ranging from computers and history to martial arts. He loves animals and did a stint as a foster home for orphan Samoyeds.